Lydia Emilie Florence Jannsen, (24 December [O.S. 12 December] 1843 – 11 August [O.S. 30 July] 1886), known by her pen name Lydia Koidula, was an Estonian poet. Her sobriquet means 'Lydia of the Dawn' in Estonian. It was given to her by the writer Carl Robert Jakobson. She is also frequently referred to as Koidulaulik – 'Singer of the Dawn'. In Estonia, like elsewhere in Europe, writing was not considered a suitable career for a respectable young lady in the mid-nineteenth-century. Koidula's poetry and her newspaper work for her populist father, Johann Voldemar Jannsen (1819–1890) remained anonymous. 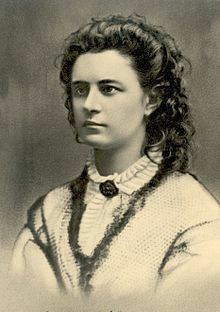 In spite of this, she was a major literary figure, the founder of Estonian theatre, and closely allied to Carl Robert Jakobson (1841–1882), the influential radical and Friedrich Reinhold Kreutzwald (1803–1882), writer of the Estonian national epic, Kalevipoeg (The Son of Kalev). 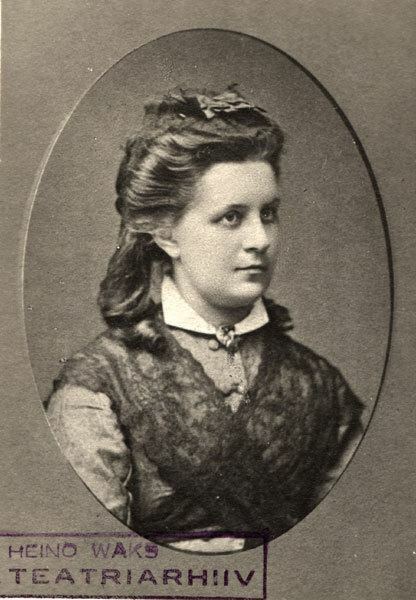 Lydia Jannsen was born in Fennern (present-day Vändra), Governorate of Livonia, Russian Empire. The family moved to the nearby county town of Pernau (present-day Pärnu) in 1850 where, in 1857, her father started the first local Estonian language newspaper and where Lydia attended the German grammar school. The Jannsens moved to the university town of Dorpat (present-day Tartu) in 1864. Nationalism, including publication in indigenous languages, was a very touchy subject in the Russian Empire but the rule of the Emperor Alexander II (1855–1881) was relatively liberal and Jannsen managed to persuade the imperial censorship to allow him to publish the first national Estonian language newspaper in 1864. Both the Pärnu local and the national newspaper were called Postimees (The Courier). Lydia wrote for her father on both papers besides publishing her own work. 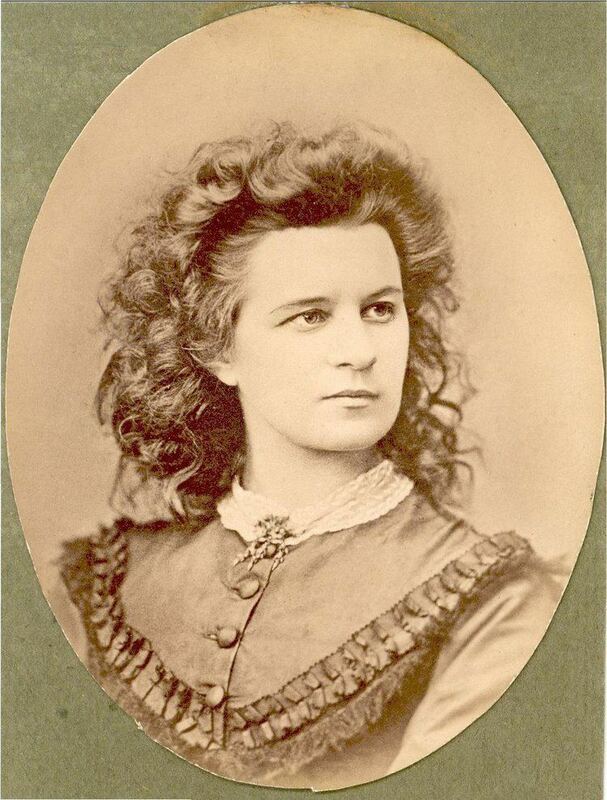 In 1873 she married Eduard Michelson, a Livonian army physician, and moved to Kronstadt, the headquarters of the Russian navy near St. Petersburg. In 1876–78 the Michelsons visited Breslau, Strasbourg and Vienna. Koidula lived in Kronstadt for 13 years but despite spending her summers in Estonia, she never stopped feeling inconsolably homesick. Lydia Koidula was the mother of three children. She died on August 11, 1886 after a long and painful illness. Her last poem was Enne surma- Eestimaale! (Before Death, To Estonia!). Koidula's most important work, Emajõe Ööbik, (The Nightingale of the Emajõgi [the Mother River]), was published in 1867. Three years earlier, in 1864, Adam Peterson, a farmer, and Johan Köler, a fashionable Estonian Saint Petersburg portraitist, had petitioned the Emperor for better treatment from the German landlords who ruled the Baltics, equality and for the language of education to be Estonian. Immediately afterwards they were taken to the police where they were interrogated about a petition that 'included false information and was directed against the state'. Adam Peterson was sentenced to imprisonment for a year. Two years later, in 1866, the censorship reforms of 1855 that had given Koidula's father a window to start Postimees were reversed. Pre-publication censorship was re-imposed and literary freedom was curtailed. This was the political and literary climate when Koidula started to publish. Nevertheless, it was also the time of the national awakening when the Estonian people, freed from serfdom in 1816, were beginning to feel a sense of pride in nationhood and to aspire to self-determination. Koidula was the most articulate voice of these aspirations. German influence in Koidula's work was unavoidable. The Baltic Germans had retained hegemony in the region since the 13th century, throughout German, Polish, Swedish and Russian rule and thus German was the language of tuition and of the intelligentsia in 19th century Estonia. Like her father (and all other Estonian writers at the time) Koidula translated much sentimental German prose, poetry and drama and there is a particular influence of the Biedermeier movement. Biedermeier, a style which dominated 'bourgeois' art in continental Europe from 1815 to 1848, developed in the wake of the suppression of revolutionary ideas following the defeat of Napoleon. It was plain, unpretentious and characterised by pastoral romanticism; its themes were the home, the family, religion and scenes of rural life. The themes of Koidula's early Vainulilled (Meadow Flowers; 1866) were certainly proto-Biedermeier, but her delicate, melodic treatment of them was in no way rustic or unsophisticated, as demonstrated in the unrestrained patriotic outpourings of Emajõe Ööbik. Koidula reacted to the historical subjugation of the Estonian people as to a personal affront; she spoke of slavery and the yoke of subordination as if from personal experience. By the time of the National Awakening in the 1860s, Estonia had been ruled by foreign powers – Danish, German, Swedish, Polish and Russian – for over 600 years. In this context, she was conscious of her own role in the destiny of the nation. She once wrote to a Finnish correspondent: "It is a sin, a great sin, to be little in great times when a person can actually make history". The Estonian literary tradition started by Kreutzwald continued with Koidula but whereas The Bard of Viru tried to imitate the regivärss folk traditions of ancient Estonian, Koidula wrote (mostly) in modern, Western European end-rhyming metres that had, by the mid 19th century, become the dominant form. This made Koidula's poetry much more accessible to the popular reader. But the major importance of Koidula lays not so much in her preferred form of verse but in her potent use of the Estonian language. Estonian was, still, in the 1860s, in a German dominated Baltic province of Imperial Russia, the language of the oppressed indigenous peasantry. It was still the subject of orthographical bickering, still used in the main for predominantly patronising educationalist or religious texts, practical advice to farmers or cheap and cheerful popular story telling. Koidula successfully used the vernacular language to express emotions that ranged from an affectionate poem about the family cat, in Meie kass (Our Cat) and delicate love poetry, Head ööd (Good Night) to a powerful cri de coeur and rallying call to an oppressed nation, Mu isamaa nad olid matnud (My Country, they have buried you). With Lydia Koidula, the colonial view that the Estonian language was an underdeveloped instrument for communication was, for the first time, demonstrably contradicted. Koidula is also considered the "founder of Estonian theatre" through her drama activities at the Vanemuine Society (Estonian: Vanemuise Selts), a society started by the Jannsens in Tartu in 1865 to promote Estonian culture. Lydia was the first to write original plays in Estonian and to address the practicalities of stage direction and production. Despite some Estonian interludes at the German theatre in Tallinn, in the early 19th century, there had been no appreciation of theatre as a medium and few writers considered drama of any consequence, though Kreutzwald had translated two verse tragedies. In the late 1860s, both Estonians and Finns started to develop performances in their native tongues and Koidula, following suit, wrote and directed the comedy, Saaremaa Onupoeg (The Cousin from Saaremaa) in 1870 for the Vanemuine Society. It was based on Theodor Körner's (1791–1813) farce Der Vetter aus Bremen, (The Cousin from Bremen) adapted to an Estonian situation. 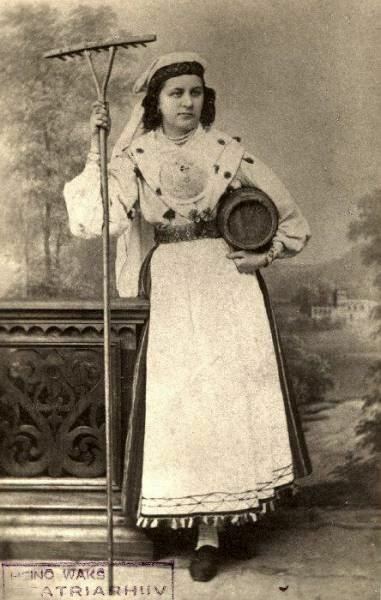 The characterisation was rudimentary and the plot was simple but it was popular and Koidula went on to write and direct Maret ja Miina, (aka Kosjakased; The Betrothal Birches, 1870) and her own creation, the first ever completely Estonian play, Säärane mulk (What a Bumpkin!). Koidula's attitude to the theatre was influenced by the philosopher, dramatist, and critic Gotthold Ephraim Lessing (1729–1781), the author of Erziehung des Menschengeschlechts (The Education of the Human Race; 1780). Her plays were didactic and a vehicle for popular education. Koidula's theatrical resources were few and raw – untrained, amateur actors and women played by men – but the qualities that impressed her contemporaries were a gallery of believable characters and cognizance of contemporary situations. At the first Estonian Song Festival, in 1869, an important rallying event of the Estonian clans, two poems were set to music with lyrics by Lydia Koidula: Sind Surmani (Till Death) and Mu isamaa on minu arm (My Country is My Love), which became the unofficial anthem during the Soviet occupation when her father's Mu isamaa, mu õnn ja rõõm (My Country is My Pride and Joy), the anthem of the Estonian Republic between 1921 and 1940, was forbidden. Koidula's song always finished every festival, with or without permission. The tradition persists to this day. A branch of the Pärnu Museum, the museum gives an overview of the life and work of poet Lydia Koidula and her father Johann Voldemar Jannsen (author of the lyrics of Estonian anthem), important figures in Estonian national awakening period in the 19th century. The Koidula museum is located in the Pärnu Ülejõe schoolhouse. The building was constructed in 1850 and has a unique interior. It was the home of Johann Voldemar Jannsen and the editorial office of the Perno Postimees newspaper until 1863, now it is under protection as a historical monument. Jannsen's elder daughter, poet Lydia Koidula grew up in the house. It is the main task of the museum to keep alive the memory of Koidula and Jannsen and to introduce their life and work in the context of the period of national awakening in Estonia through the permanent exposition. There is a Monument of Lydia Koidula in the citycenter of Pärnu next to the historical building of Victoria Hotel on the corner of Kuninga and Lõuna street. The monument dates to 1929 and was the last work by famous Estonian sculptor Amandus Adamson. 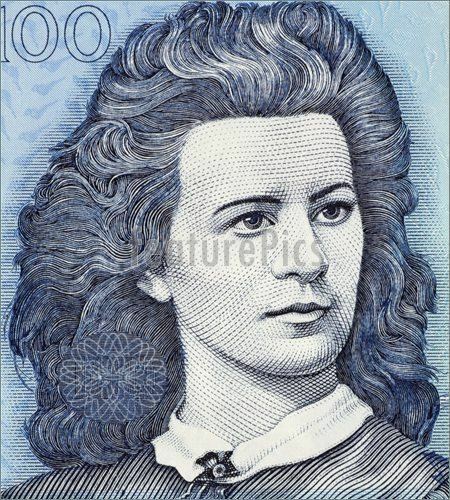 Finally, she was on the pre-euro 100 krooni banknote.